As I thought about Push in the context of Kotter's model, I imagined the table you see above. 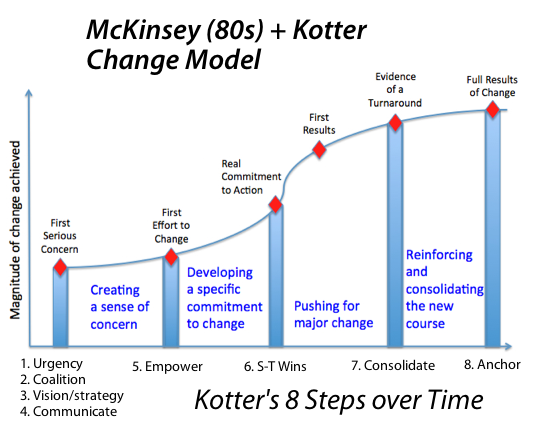 In most "less than successful" change projects, the Tops drive steps 1, 2, and 3. 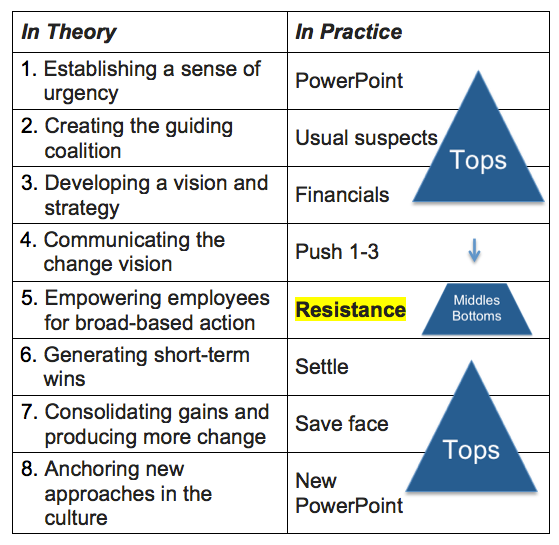 Step 4 is the Tops using HR or Communication to PUSH "their" change downhill. I found it ironic that what Kotter envisioned as empowerment is often the stage where resistance takes over.